Most people who acquire a lot of wealth are grateful for the opportunities they have had throughout their lives. There are so many ways that you can give back to the community and give others the same opportunities. Sometimes it’s difficult to know where to start. You may wonder how much you should give or worry that it will affect your family’s future well being. That’s where we come in. Patrick Renn and the Renn Wealth Management team can help guide you through the financial process of giving. 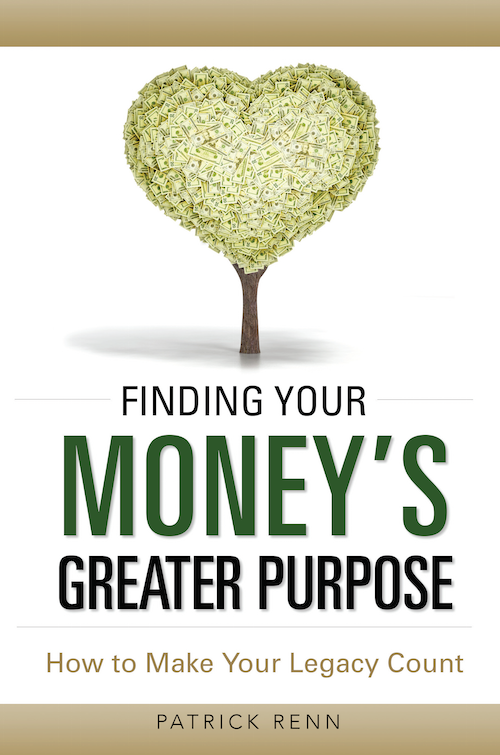 Understand how to manage your wealth. Find out how you can give back and without sacrificing your family’s well-being or inheritance. Plan to make your charitable mark on the community. See how many lives your planned giving can touch. Whether you want to make a lasting mark on your community or leave a legacy for your family, they have the skills you need to achieve your goals. 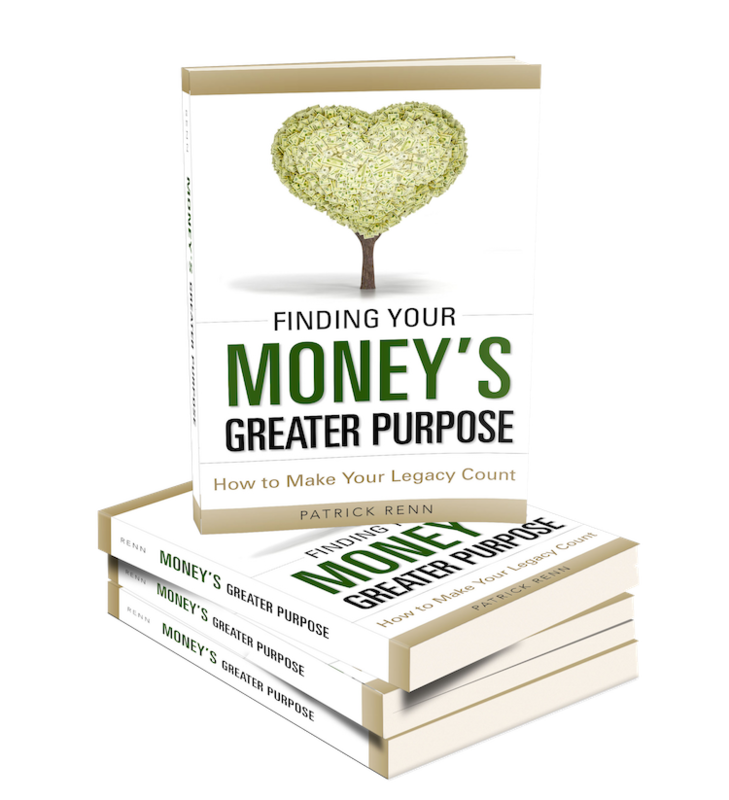 Patrick is an expert in financial advising, especially when it comes to planned giving. His team can help you decide the best course of action in planning your money legacy. Patrick Renn also has the skills to help increase the planned giving program at any charity. Non-profit organizations thrive on generous donations, and Pat can help attract more donors to your cause. Click the links below to access articles. Fill out the form below to receive tax updates, legacy planning ideas, and timely tips. *The information contained in this book does not purport to be a complete description of the securities, markets or developments referred to in this material. The information has been obtained from sources considered to be reliable, but we do not guarantee that the foregoing material is accurate or complete. Any information is not a complete summary or statement of all available data necessary for making an investment decision and does not constitute a recommendation. Any opinions of the chapter authors are those of the chapter author and not necessarily those of RJFS or Raymond James. Expressions of opinion are as of the initial book publishing data and are subject to change without notice. Raymond James Financial Services, Inc. is not responsible for the consequences of any particular transaction or investment decision based on the content of this book. All financial, retirement and estate planning should be individualized as each person’s situation is different. This book is not intended as a solicitation or an offer to buy or sell any security referred to herein. Keep in mind that there is no assurance that the recommendations or strategies contained in the book will ultimately be successful or profitable nor protect against a loss. Recommendations, specific investments or strategies oiscussed may not be suitable for all investors. Past performance may not be indicative of future results. You should discuss any tax or legal materials with the appropriate professional.